Graffiti in Gastonia, North Carolina can be found on public or private buildings in many different forms, such as writings, drawings, spray paint, ink or chalk. Gastonia graffiti can negatively impact your property by discourage incoming business, decrease curb appeal, leave the impression that the property is not cared for or even hinder the sense of security for visitors or residents. Here at Excel Pressure Washing, we never want to see any property destroyed by Gastonia graffiti or other unwanted substances. Since 2010, Excel Pressure Washing has been well-versed in properly removing graffiti in Gastonia. Excel Pressure Washing offers effective graffiti removal, spray paint removal and chewing gum removal in Gastonia. Excel Pressure Washing understands that all graffiti is different and can be found on different surfaces, so some Gastonia graffiti removal may be easier than others. Whether you need us to remove graffiti in Gastonia from a concrete, brick, block or other structures, our experienced Gastonia graffiti removal team at Excel Pressure Washing has over 9 years experience. We are educated in removing spray paint on Gastonia buildings and chewing gum. 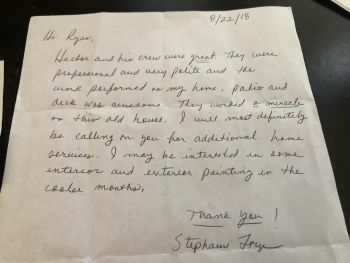 Our safe techniques ensure no damage is done to your Gastonia property effected by graffiti or other substances. We combine our hot water steam pressure washers with safe, effective paint remover to eliminate graffiti spray painted on your Gastonia building or property grounds. And many more. Just ask, we can help! 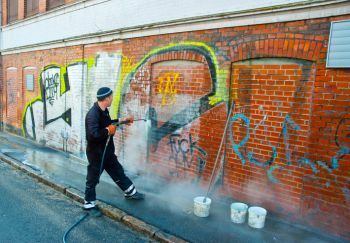 When your building has been tagged by graffiti or is covered in spray paint, call a trusted, local expert for time-sensitive, effective graffiti removal services in Gastonia. Excel Pressure Washing will remove unwanted graffiti, paint and chewing gum that may be covering up the beauty of your Gastonia building.